Valton was a talented sculptor who is best known for his models of big cats. His sculptures are well modeled and true to life, he captures the nature of the beasts he portrayed very accurately. 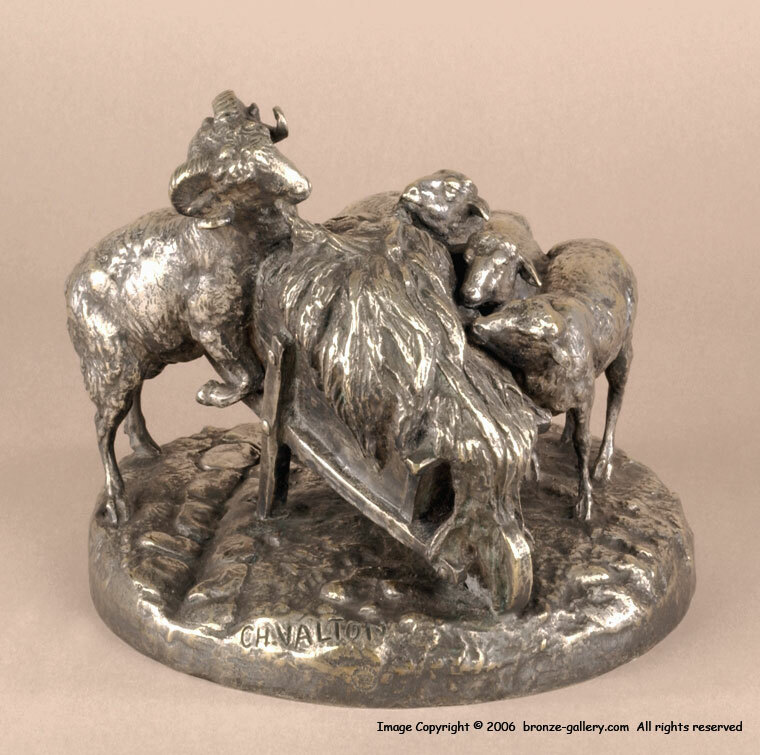 This rare bronze is full of character and shows a farm yard scene of a Ram and his Ewes competing for food in a hay wagon. The Ram has his front feet up as he pulls out a mouthful of hay and the Ewes are gathered around the wagon for a meal. This is a very rare bronze and we have never seen another cast of it. 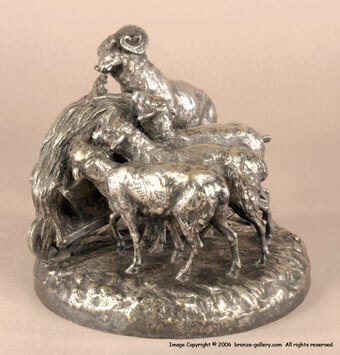 The details are very sharp, and it has a silvered patina which is reserved for the finest bronzes, usually ones that were exhibited. It is cast by the Jollet et Cie Foundry of Paris and bears their seal on the base.